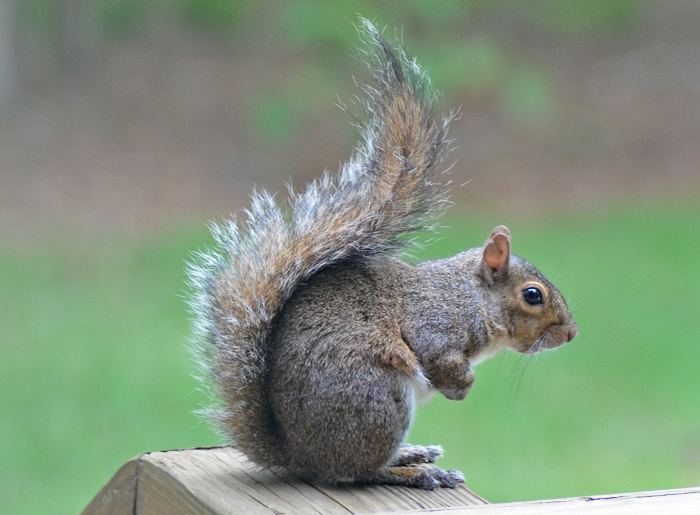 Sciurus carolinensis (Eastern Gray Squirrel). The ubiquitous squirrel. They have made it into Europe and started displacing other species, especially in the UK. You can always see them in our yard but they seemingly sense my camera. Despite this basic instinct, I finally took this photo on a lazy Sunday morning. I believe this squirrel built a nest in our palm tree a few weeks ago and was quite busy hauling plant material up the tree.